Ten easy-to-administer and easy-to-score unit achievement tests assess listening, vocabulary, grammar, social language, reading, and writing. 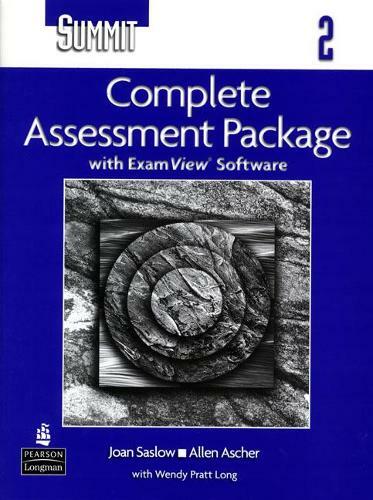 Two review tests- one mid-book and one end-of-book- provide additional cumulative assessment. Two speaking tests assess progress in speaking. In addition to the photocopiable achievement tests, ExamView software enables teachers to customize tests that best meet their own needs. A two-level high-intermediate/advanced course, Summit is the perfect next step for learners who have completed a beginning to intermediate level course. Summit develops competence and confidence in all four skills.